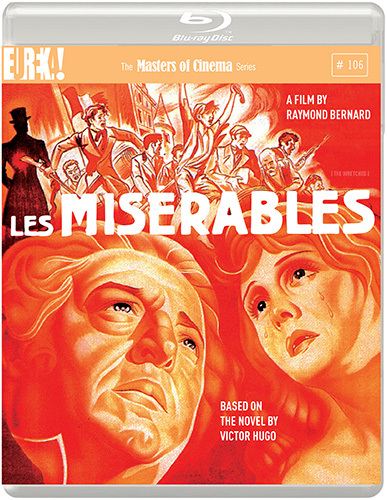 The film that most firmly established the talent of French director Raymond Bernard before his epic adaptation of Victor Hugo’s Les misérables, Wooden Crosses [Le croix de bois] was widely hailed at the time of its release in 1932 for its searing depiction of the horrors of the European front during World War I; subsequently, Bernard was named soldier of honour of the 39th Infantry Division. Adapted from a novel by Roland Dorgelès (a former corporal of the 39th), Wooden Crosses offers a kaleidoscope of cinematographic technique to present a visceral, enveloping recreation of one regiment’s experience of battlefield hell. (Its entire cast is comprised of war veterans.) It is an epic tapestry that rivals John Ford’s Four Sons and Lewis Milestone’s All Quiet on the Western Front in both its poetry of trauma and steadfastness of conviction that war must be held in contempt. From a gorgeous new Pathé restoration carried out for the centenary for the start of the Great War, Raymond Bernard’s Wooden Crosses retains a ferocity that continues to reverberate across generations. The Masters of Cinema Series is proud to present this new 4K restoration of the film in a special Dual Format (Blu-ray + DVD) edition.